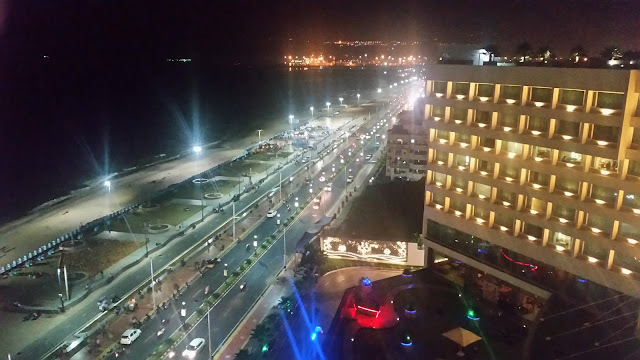 Hyderabad Marriott Hotel and Convention Centre have been organizing some great food pop-ups recently, showcasing states whose food is delicious but not much talked about. 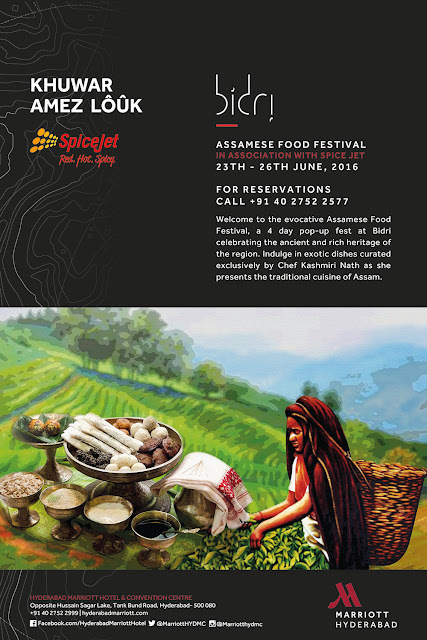 After the very successful Himachali festival, it is now the turn of Assamese food. Chef Kashmiri Barkakati Nath from Guwahati has been specially brought to Hyderabad to curate the promotion at Bidri, the Indian restaurant at the Marriott. 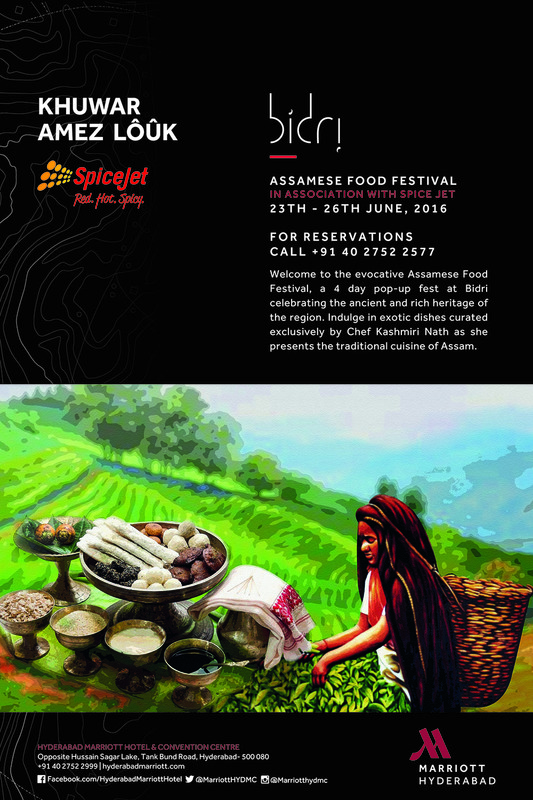 The festival is aptly named “Khuwar Amez Louk” which means “Enjoy the Flavours of the Food”. My travels to the North-East India on work had got me interested in this unique cuisine, but it was surprising to see that the food was hardly found commercially even in Assam. Of course, this was a couple of decades ago and the scenario might have changed now. However, even in the last few years, there are only a select few who have been organizing Assamese food festivals in Delhi, Mumbai and Kolkata. In my city of Hyderabad, there was only one home chef who offered to host people at his home to try out this cuisine. (Read about it here). 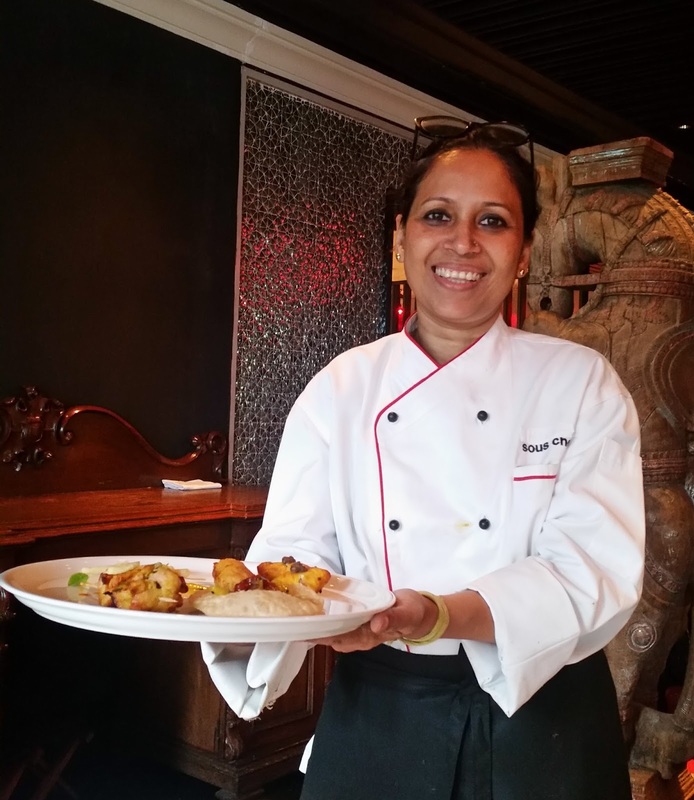 Chef Kashmiri had been on a mission to popularize the cuisine, and she had been curating special Assamese menus for dignitaries from abroad who visit the state. At a Bloggers Table organized at Marriott as a preview to the festival, she explained that contrary to popular belief, there is quite a bit of difference in the cuisines of the seven sisters of North-East. 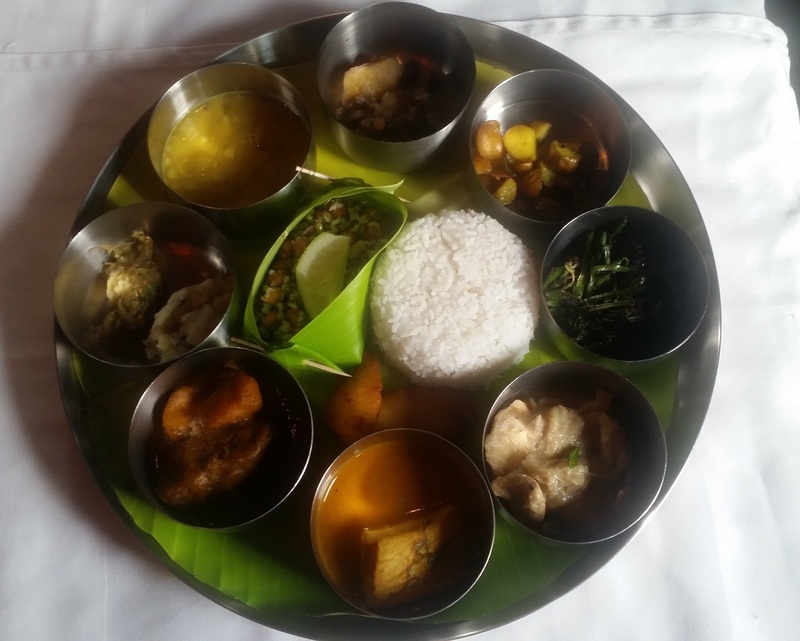 Assamese cuisine uses little spices and strong flavours, in combination with the abundant vegetables and fresh water fishes available in the fertile Brahmaputra valley. The cuisine has influences of neighbouring Bangladesh and Myanmar as well as other regions of South-East Asia. A special set menu has been curated for the festival. We started with an appetizer platter, served tastefully on a plate. Luci (maida puris) with Aloo Bhaji and Bilahi Ambol was the first dish I tried out. The luchi-alu tarkari combo is a preferred breakfast in Bengali households, but here the alu sabji had a different set of spices, and the accompanying sweet and tangy tomato chutney complemented the taste nicely. There were two skewered dishes, Maas Khorika had boneless fish in a mustard based marinade and the Kukura Khorika had chicken served with a dip of Bhut Jolokia and bamboo shoots. The dip was one of the highlights of the meal, with demands for a refill in spite of its super spiciness. Bhaat Karela was another starter, which had bitter gourds stuffed with spiced up mashed potato, whereas Anguli Pitha, the rice flour fritters provided an interesting interlude between the strong flavours of the other starters. 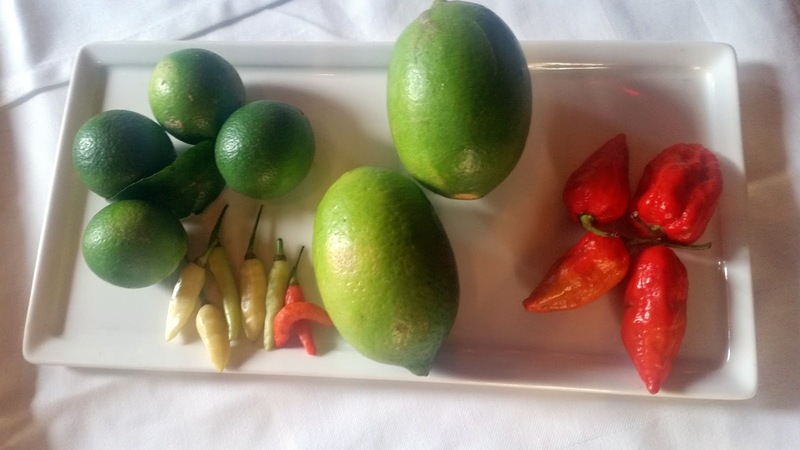 There were about four dips served on the table – Bhut Jolokia, bamboo shoots, mango, and mustard. They had varied flavours and tastes, and I kept on going back to them a number of times during the meal. The mustard dip provided a strong buzz and aftertaste, much more than what you get in wasabi. The earthy taste of fermented bamboo shoots augmented the taste of ghost chilli chutney. The main courses were served in a thali, which had about eleven items. The Assamese love their rice, rotis have only been a recently acquired taste from other regions of India. Joha Bhat, a flavourful steamed rice similar to Gobindabhog or Chittimutyalu is a popular staple, and we enjoyed the main courses accompanied by this. 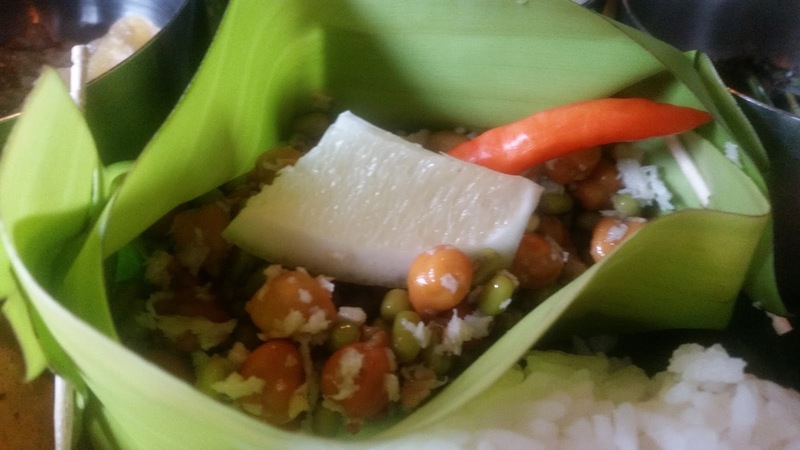 We were provided a taste of the typical Prasad which is served in some temples in Assam, chana and chickpeas served with chillies and Gandharaj lime presented tastefully in plantain leaves. As is customary, we started the main courses with Omita Maahor Khar, an alkaline dish of lentils and papaya which cleans up the digestive system. 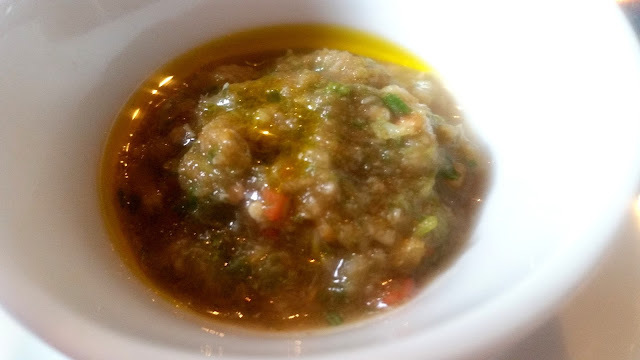 This was followed by Xaak Bhaji, a preparation of Dhekia saag, Lau Bhaja (pumpkin fritters) with Masoor dal, and famed Pitikas (boiled/roasted and mashed vegetables) in two forms – potato and brinjal. The Assamese are primarily non-vegetarians with lamb, duck, pork being some of the favourite meats. Chicken is a recent addition, but the sweetish Kukura Kurma served here was a distinct preparation with yoghurt and whole spices. Tenga, the sour fish delicacy is perhaps one of the signature dishes of the cuisine. Fish Tenga here had tomato and ou tenga or elephant apple as the souring agents. Part of this gravy was savoured with rice, and I loved it so much that I drank up the rest of it. Maanxo Rongalou was a preparation of lamb with potato and pumpkin. Though I did not get much taste of pumpkin in this unique dish, I had no complaint with the potato tasting brilliant after soaking in the gravy. 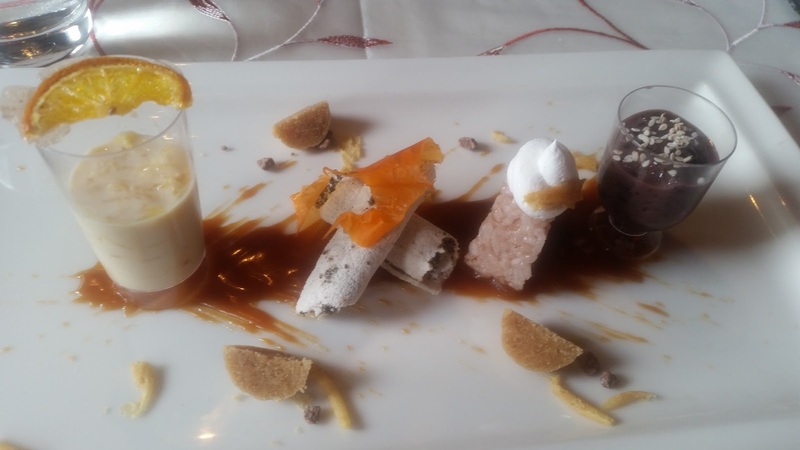 One of the highlights of this set menu is the brilliant curation - almost each of the dishes had different tastes and flavours appeasing the entire range of taste buds. As I apologetically state again and again in my posts, I am not much of a dessert person. Still, I was very impressed with two of the desserts Kola Bora Sawal Paiyox (Black Sticky Rice Pudding) and Komolar Kheer, a milk and orange based dessert. Narikol Pitha (Dry rice cakes with coconut fillings) was the other dessert on offer. This is a festival which should not be missed by any lover of East Indian food, or any food aficionado who likes to try out diverse cuisines. The food is simple but extremely fulfilling, and the flavours are very different from the local palate. A big thumbs up to Executive Chef Yogender Pal for organizing these out of the box promotions. 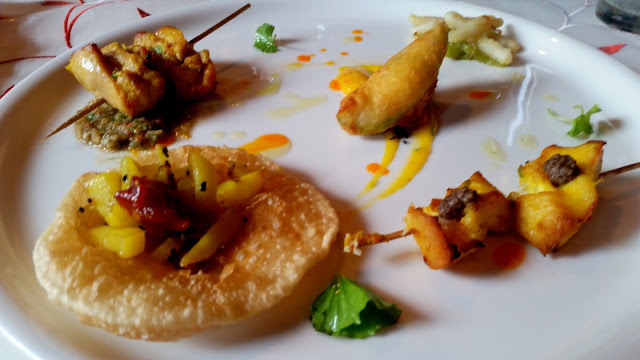 The festival is on from 23rd to 26th June only for dinner and is available as a set menu which is Rs 1200 (plus taxes) for vegetarians, and Rs 1500 (plus taxes) for non-vegetarians.